One of the most commonly mentioned benefits of the full frame sensor is that it gives you better depth of field. This is kind of misleading though, because the sensor itself doesn’t really do anything for the depth of field of your image. However, with a larger sensor, you’ll have to get closer to your subject to fill the frame, and that means depth of field will decrease (remember that you lose depth of field as you move the camera closer to an object). This makes full frame cameras an excellent choice for close-up photography, where you usually want very shallow depth of field to help draw attention to your main subject. Probably the biggest benefit of a full frame camera is that it allows you to create higher quality prints, since you won’t be enlarging the photo as much as you would with a smaller image. Remember that these camera sensors are extremely small, and we commonly enlarge those tiny images to 30×20 or 20×16 prints. So, any increase in size to that sensor will lead to sharper and higher quality prints. In general, the full frame sensors have larger pixels so that generally means you’ll get less noise at higher ISOs. But, this is only a generalization. It’s not always the case. With the newer cameras, this seems to be less and less of an issue. Slower frame rate. With a larger sensor, there’s a lot more pixels to record to the memory card, so it’ll take longer to save those images. This means that in general full frame cameras capture far less frames per second (fps) than crop sensor cameras. This can make a huge difference when photographing some subjects, such as wildlife. Bigger/heavier cameras. The larger sensor doesn’t add much weight or size by itself, but with a larger sensor the camera needs to be bigger in order to house it properly. This generally means a full frame camera will weigh more and will take up more space, which could be an issue if you’re backpacking with the camera. Great article. We have been discussing this exact thing on Photography on the Net forum. Many thanks for the short review on Full-Frame vs Crop Sensor. After reading this I’m the more happy I decided on Nikon D7100 and not D600. For me the advantages don’t count, because I’m happy with the DOF I get with my lenses and camera, I personally don’t print and with the D7100 noise is not an issue. So I saved myself a couple of hundred bucks to buy better lenses. #4 You’re more likely to get more jobs, and higher paying clients. Sadly it’s true, even if you can pull amazing photos from a crop frame. It comes down to perception of value. 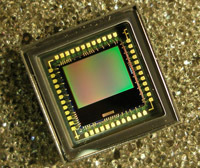 There is the aspect that not all lenses will fill the sensor with light. Because the crop factor is 1.0 vs approx 1.6 longer lenses are needed to get the same magnification. Full Frame Lenses are generally heavier and more expensive. I am presently using a Nikon D7100, purchased because of its crop sensor, wanting the extra distance for wildlife. However I also shoot landscapes and am serious considering a D600 (sooner or later, depending on funds) because of the wide angle advantage. I often shoot with a friend who has a D800E and I cannot capture the same wide scenes as he does. If you are a hobbyist photographer and not relying on the tool to generate income, then consider the cost of the work flow with the full frame DSLR. The cost may include a bigger and faster computer, more storage space, use of FTP sites for transmitting larger files, etc. The large format enthusiasts ridiculed the medium format innovators. The medium format group poo-pooed the 35mm users. The DSLR generation started with the cropped format and learned how to use it effectively. Don’t see any reason to go bigger, just better. Two additional advantages of the full frame sensor, at least for me, are signifcantly better dynamic range and improved color depth. After I renting a 24MP full frame body last year and comparing identical scenes with a very good 16MP crop sensor there was no turning back. I went back to photography a few years ago and started with an Nikon D60, then moved to a D300s and finally now have an Nikon D800. The difference is unbelievable and I would never go back from a full frame. Also with the full frame you can crop and not lose image quality. Well there is always a price to pay, and the price here is:- Larger RAW images, then more cards or large GB cards, slower downloads to computer, Hard Drives fill up quicker, so upgrade computer or get a new one. I use the D800 with a Sigma 50-500 lens and the weight is not much of a problem. But to me all worth it for the final results. The long lens problem mentioned by John D Venter above is quite major – even with a 400mm lens on my FF I find an extender essential most of the time shooting wildlife, and the lens weight is considerable of course. The only answer is to get closer, one way or another. A quality crop camera will satisfy most peoples requirements and help with cash and carry problems! Bigger and sometimes just more inflated price tags, which also translates to bigger price tags for the glass that goes with it. Manufacturers cultivate relationships with the likes of David Muench, George Lepp, Moose Peterson and automatically assume that if you use the “big frame equipment” you must be rollin’ in dough. In an age where every phone has a camera, your prices had better be competitive. Customers often don’t want “large” prints (bigger than 16×20); Because real large prints, carry a real large price tag. Magazines, and calendars don’t have the “fine art” resolution of a high end photo publication most of the time, so the issue doesn’t arise, unless the editor is a snob. So, unless you are shooting for the New York Times Square Billboard and the new house sized Nike ad, do you really need the biggest, baddest full frame? To me it is like the guy who got the biggest stereo in his car to awe his friends, problem is now that he got the speakers there’s no room for any seats but the driver’s. Lets take a picture of a landscape or a city’s skyline with both cameras and then get them printed on 10×12 feet poster.What I understand is that the poster from 1st scenario will be of better quality as it has better resolution than the second. Also, for the amount of light entering for low light performance, it is chiefly dominated by aperture size and not to a much extent by sensor size. Having said that, does having a full frame sensor still matters ? (keeping aside the capability of moving closer to subject). Please let me know if you have comments on this. First, to the best of my knowledge, there is a lot more to image quality than just resolution and megapixels. It gets very technical and if you want more information, I suggest you spend some time on Clarkvision.com ( http://www.clarkvision.com/articles/index.html#part_4 ). I am nearly 100% confident that the full frame 21 MP image at 10 ft x 12 ft, with all the possible software help and enhancements available, will have better image quality than the APS-C sensor image. Big question here is “why such a large image size”? If the image size is the goal, then you may need 8″ X 10″ film and a drum scanner, depending on your image quality requirements, IMHO. I use my D700 with the 70-300mm for indoor sports, dances because of the higher ISO i’m able o use. And I use my D300 with the 18-300mm Nikon lens for outdoor sports. The D300 gives me a reach of 36-450 because of the APC size. With the D300 I am able to get 8-9 burst shots for action but only 5-6 burst with my D700. 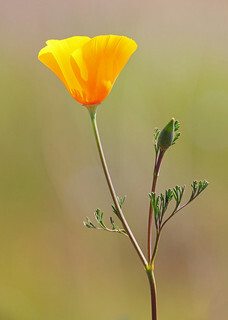 However the color is richer with the D700 but a problem with the D700 is most lens are made for the APC size sensor. So I must be very careful when shooting with my D700 and any lens made for APC. Has anyone had that problem? ?